I hope I'm not the first one to tell you that there is much more to Anaheim than Disneyland. If you have never explored the hidden treasures "outside the berm" I encourage you to do it. I adore Anaheim - heck, I was born here! - and I recently purchased a home in the Anaheim Colony historic district. To say that this neighborhood is up-and-coming would be a gross understatement, since the Colony is already over 160 years old, but the area and its history are being rediscovered, restored and made to shine once again. 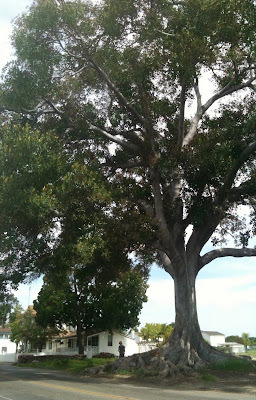 Since we're revisiting the Swiss Family Treehouse this week, let's take a short drive up West Street, just north of Disneyland to gawk at the gigantic Moreton Bay Fig Tree. During construction of Disneyland's treehouse in 1962, Imagineers came here to poke around and examine the twisty roots of this behemoth tree planted in the 1800s by Anaheim's first horticulturist Tim Carroll. 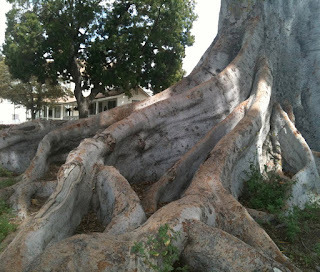 The tree is completely impressive and a living piece of Anaheim's heritage - just one of the fabulous features you'll discover along this street. 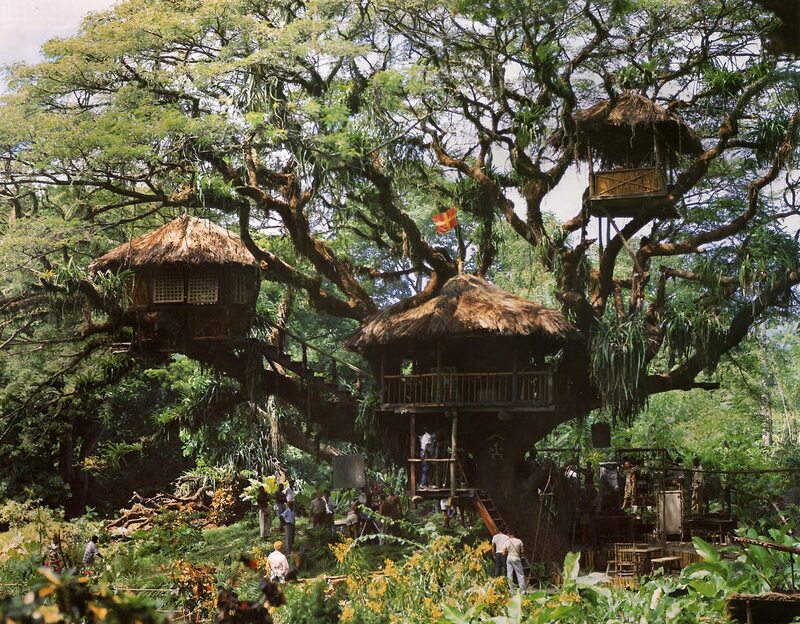 The original movie set for the Walt Disney picture "Swiss Family Robinson" was constructed in the 200-foot spread of a living Samaan tree on the island of Tobago near Trinidad. Art director John Howell famously spotted it through a gap in a fence at the corner of a cricket field just outside the town of Goldsborough. 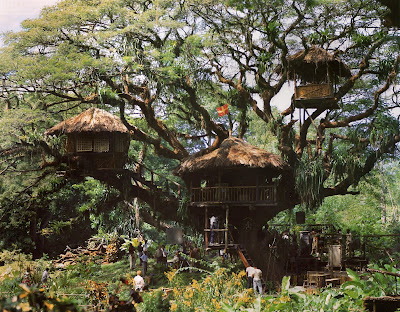 Although the Disney Studio was expected to remove all evidence of movie-making from the island at the end of shooting, the native Tobagoans regarded the treehouse highly and left it in the Samaan tree as a tourist attraction. 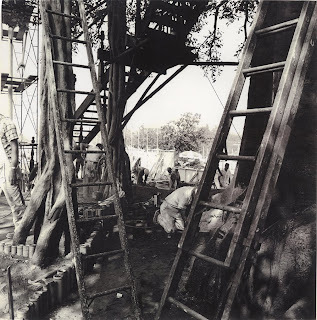 In 1960 the tree and the three remaining thatched-roofed rooms (barren of any props or furnishings) was put up for sale for $9000. While I don't know if anyone actually bought it, it's well-known that the treehouse remained until a hurricane swept the structures away. HOWEVER! From all reports, the Samaan tree itself still survives today, its branches now filled with orchids and bromeliads. I've checked online for a picture of the tree as it currently looks but haven't been able to find one. Is anybody out there reading this in Tobago who could snap a photo and give us a report? Labels: Anaheim Disneyland "Swiss Family Treehouse"
Wow, that is one huge tree!! I guess if any figs fell on your head from the top of that tree, it could do serious damage to your skull. You're probably right, Dan! The figs are relatively small, about the size of a large marble, but one hit the top of our car while we were parking, and the loud "knock" was pretty startling! I think they have some similar figs over on Santa Monica Blvd. not too far from Rodeo Drive... amazing twisty roots! First off, congratulations on your new home! I just bought my first and it's been quite an adventure. 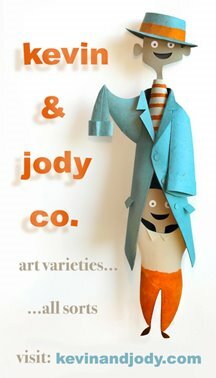 I hope you'll give us some sneak peeks at your interior decorating style. And, how fun that you live next to a bit of the inspiration for the Disneyland attraction! Would LOVE to see the tree! Someone... SOMEWHERE must have a current pic! 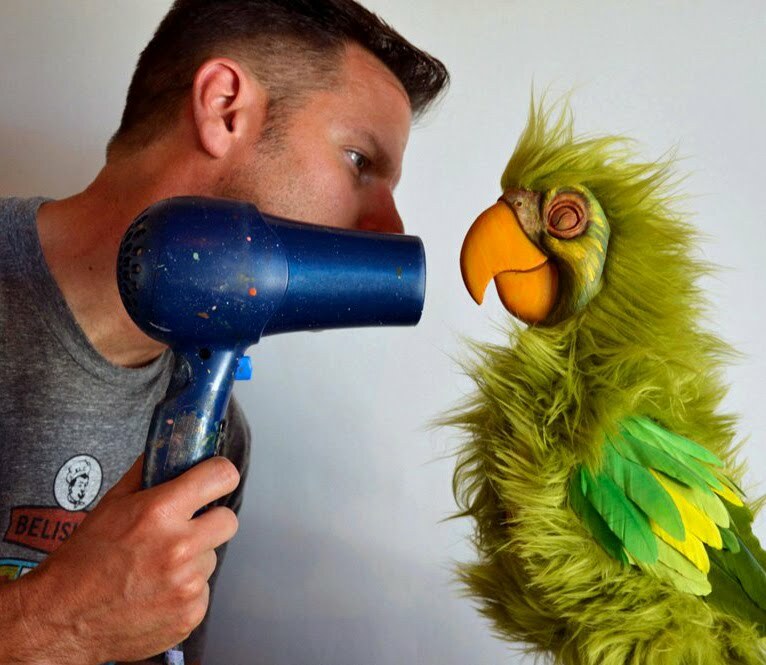 A long lonely shift on the treehouse could very well result in a cast member coming up with creative uses for the soup of the day at the Inn Between employee cafeteria! UPDATE: The actual Swiss Family "movie tree" has been FOUND! The tree has been the site of two homes sitting on its roots. The Victorian era Horstmann house had burned down in the late 30s, and had a basic Minimal Traditional house built over its brick basement, south of the Mother Colony House, which was moved there in the 20s. An adorable 30s Cape Cod ranchette sat to the south of the Horstmann/Dwyer lot. Those homeowners were forever fighting the root system trying to get into their plumbing! The parking lot itself is made of permeable pavers so the tree gets a lot more water. But the true genius of the park plan was something nobody ever sees. The old basement from the Horstmanns' was still a big brick-lined hole in the ground, with tree roots wrapped around it. Instead of trying to remove it, the City back-filled the basement with gravel, and much of the grading now slopes to that lower spot into what has to be the biggest french drain in California. The tree is so ridiculously happy that it is producing figs again, a LOT of figs! Now I do not know if the figs do damage, but when one of the branches came crashing down one night it split a bench in half. Huge thick bench, would easily have killed someone, thank God nobody was there at the time. Arborist says tree OK, and bench has been replaced. The figs are an unforeseen benefit, we routed DG pathways under the canopy, so we have to scrape the figs off the bottom of kids shoes when the school field trips intersect with fig production! A good problem to have, but MESSY. We are very blessed to have the former head of ASLA as our parks chief, she could work anywhere in the world and chooses to work for Anaheim, so Founder's Park became something pretty awesome. We are open again in September (closed for August because none of the docents will wear corsets and petticoats when the windows don't open! Can you blame us?) Come see us and visit the tree. First Saturday of every month (except August) 9 am to noon, FREE, houses open for tours, park always open for visits.